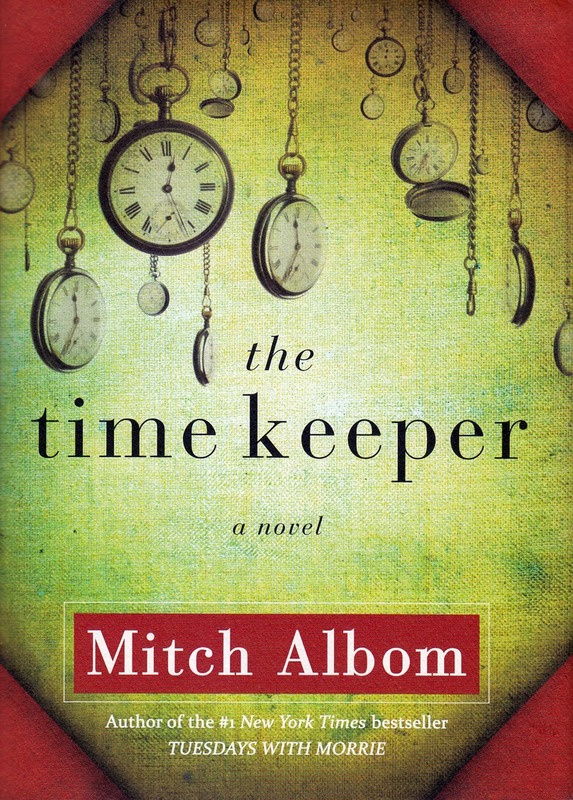 Mitch Albom needs no introduction. 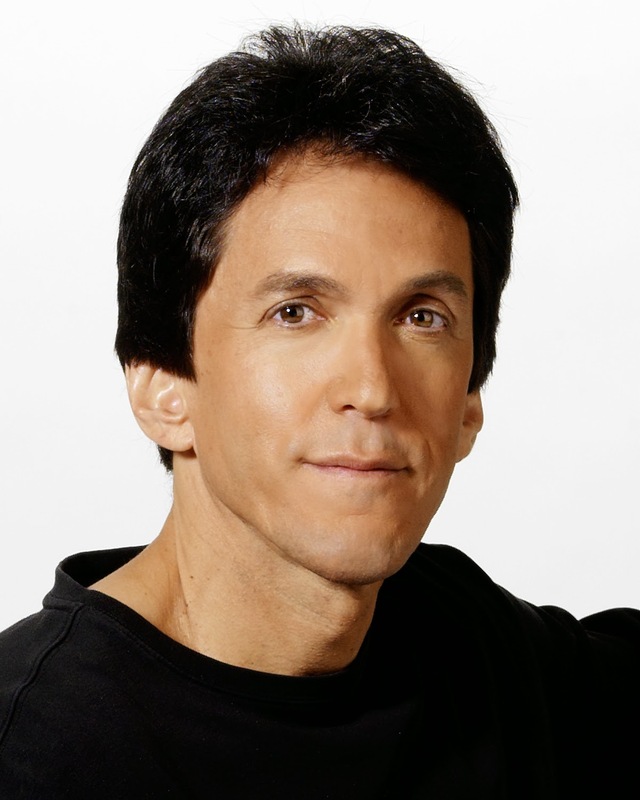 Known worldwide for best selling books such as Tuesdays with Morrie and The Five People You Meet In Heaven, Albom has single handedly sold more than 35 million copies all over the world. He recently came to Manila for two very successful book signings for National Book Store, as well as to make a personal visit to Typhoon devastated Tacloban. Knowing the need to rebuild libraries in these areas, He has asked his fellow best selling authors such as Rick Riordan, Amy Tan, Stephen King, just to name a few, to donate their own books to these depleted libraries. 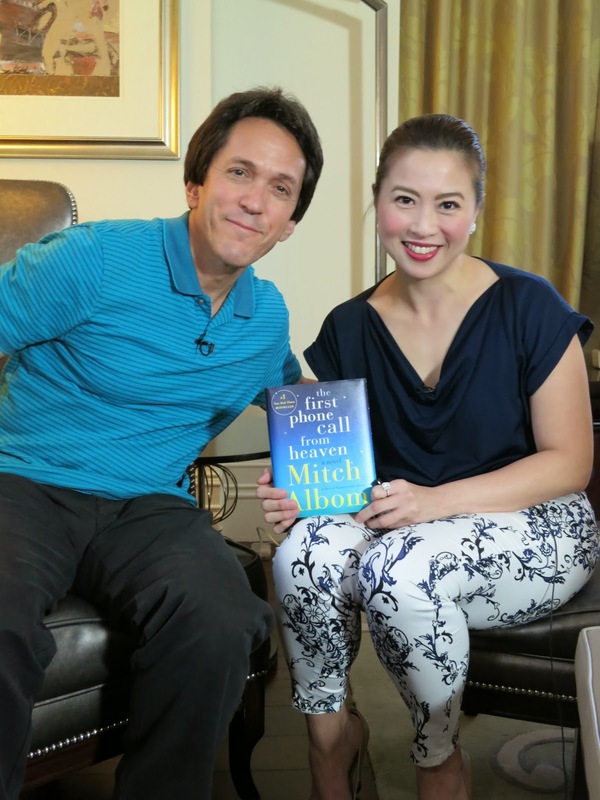 With his kind heart and thought provoking books, it’s no wonder Albom is beloved worldwide. May this be the first of many visits to our country. Here’s my conversation with him. Mitch: The people have been really fantastic. I can’t really say that I've seen much of the Philippines, I've mostly been doing interviews. But actually when I landed, it was after midnight and I was at the airport and a fan had snuck in, I don’t know how they got into the baggage claim area. So I haven’t even gotten my bags off the belt yet and there was somebody running up with one of my books asking 'may I have a picture with you? ' And I said yeah sure but how'd you get in here? And he goes ' well I have a friend who works at the airport and they snuck me in. And then I said I know I'm not in America anymore..(laughing) That wouldn't happen.. but that was very nice reception even at midnight and ever since then people have been wonderful here. L: How do you react when people recognize you all over the world? M: I consider it a great honor. I’m never bothered by it. You'll never hear me complaining. It's a great thrill, a great compliment when people recognize you. It's not a burden. Its not like people are throwing tomatoes at you. They’re coming up to tell you they enjoy your work. This young man was trembling when he said ' oh I’ve been wanting to meet you for so long' so how can that be anything less than great? So I’m happy to meet everybody and anybody in the Philippines and anywhere else. L: Are you prepared to meet all your fans here? Because I’m sure there will be a long line for many hours. (More than four thousand fans flocked to his Manila book signing while there were a thousand more waiting for him at the NBS Cebu branch). M: Well they keep warning me about that and I just laugh but they keep saying No No No it's gonna be.... yeah so alright, okay there are worse ways to go through the day than to have a lot of people wanting to meet you and take pictures and everybody is very polite. I guess it would get very old if people were screaming at you or pushing you but everybody's like please, please can I have a picture please.. Can I have an autograph?.... Of course! It's not labor, it's not hard. I know what hard is. This isn’t hard so I’m happy to do it. L: You've already written about the Philippines in Five people You Meet in Heaven. I know it is loosely based on your uncle Eddie. Can you tell us more about that? And so I had him as a soldier during the war who accidentally, unknowingly burns down a hut and there's a little girl hiding in the hut and that he kills her without having any idea his whole life. He gets to Heaven, he encounters her again. She becomes the most important figure in his life even though he never met her. She explains to him why the rest of his life unfolded the way it did. So that little girl's name in the book is Tala. And I picked that name just because it was a nice sounding name. And after the book came out I started getting mail from the Philippines and they would always say the same thing. How did you pick Tala for this name? Tala means star, how did you know that? I have to admit I didn’t know that, I picked it because it was a nice name. As it turns out, to have a little girl named star in a book about heaven, turns out to be pretty good. So ever since then I’ve had a connection with my Philippine readers in that they feel very close to me and every book that's come out since gets bigger and bigger. I'm glad to finally come over here and explain to everybody the Five people you meet in Heaven story. So that's how it happened. L: It's weird that you picked it out of a million names. M: Yeah. Maybe I was meant to come to the Philippines. And that's why I'm here. L: I'm gonna try to say this in one breath. You are a best selling author, journalist, screenwriter, playwright, radio and television broadcaster, philanthropist and musician. How do you juggle all those roles? 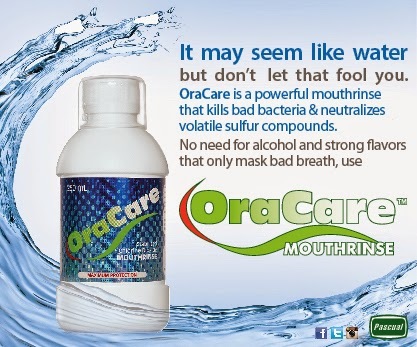 That's a mouthful. M: Yeah. When you say it like that I'm tired! Well, it's nice of you to say that but you're giving me too much credit. They're all essentially the same with the exception of the philanthropist. I’m a storyteller. I tell stories in book, I tell stories in movies, I tell stories in plays or newspapers or radio but its pretty much the same skill you know, it's just a lot of different ways to do it. And how do I find the time? It's my passion. When its something you love it's not work. It doesn’t feel like work. My problem is staying awake to get to everything I have to get to and to balance it with the more important things in life like family, the people you love and the people who need help. So I find it a very fulfilling life, particularly to do charity work half the day and to do your own work. It's a good balance when you do it for yourself and you do it for others. One helps the other. So I don’t know. When you read it, it sounds tough! M: But when you live it, it's not that tough. L: But do you give it like, okay I'm gonna give this three hours then after I'm going out with my wife. Do you do that? M: Yes to some degree I do. My writing process is the same everyday. My day is the same everyday. I get up, I go for a cup of coffee, I sit down and I pray. Pray for about 10 to 15 minutes then I go downstairs and start writing. No television, no radio, no internet, no phone calls, no input of any kind, my brain is just empty. And I just sit down and that's when I write for about 2 1/2 to 3 hours a day and that’s it. Never more than that. Even if I'm late on a book. I'm kind of like a car that runs out of gas. What difference does it make if you keep pushing, it's not gonna start? So I come back the next day. But I do that 7 days a week. And then I take the rest of the day and chop it up to little sections of work on this and that. I'm lucky I get to work at home. I have an office in my home so I see my wife before I go down and start writing and I see her as soon as I come up, my family comes over. We have a house that's kind of conducive to a lot of kids and family members. I'm not a partier, I don't go out with famous people to famous parties. My night times are pretty much just family and so between those two things I have a very good balance. L: But do you take vacations or do you take working vacations? M: Once in awhile we'll go just for the fun of going and we take a lot of family members. We just went last month to New Zealand and Australia with 8 of our crew, you know sisters, kids, nieces, nephews that type of things and it was fantastic. We tend to now travel in big packs. I do a lot of travels for books like this but it’s very interesting to me because it’s a great way to see the country. You get to meet a lot of people like yourself and you think about it, when you go on vacation to another country, for the most part who do you meet or talk to? The bellhops, the taxi drivers, the waiters. It’s alright but it’s not really the whole country. Here you go on a book tour and I’ve talked to journalists, I’ve talked to other writers, I go to schools and talk to school kids and their teachers. I really get a good feel on how a country is working by the time you're done with these things. So to me they are vacations even though I have to work because I get to learn a lot about the country. L: Of the roles I've already mentioned...author, journalist....if you were to give up all but one, which would you keep? M: Professionally it would be a book writer because everything for me begins with that and personally it would be charity. I would be a very selfish person if I said given the life that I’ve had, if I could only do one thing, I will only do something for myself because I have been given more than enough for myself already. I've been given more than enough for ten people. I should spend more time with charity. I operate 8 charities and I don’t say that for any reason to be impressed by but it's important when you're given a lot, you should give a lot back. I have been given a lot so if I could modify your question, I’d say two, not one. One, writing books, and the other, operating these charities. L: I reread Tuesdays with Morrie and before you re-entered Morrie's life, you were not the man that you are now. What changes have happened since you caught up with your old Coach? M: Well some changes I made myself and some changes happened to me as a result of Morrie. So my visiting my old professor for all those months that he was dying and seeing how happy he was, happier than I was, and he was dying and I was healthy really made me question how I was living my life and I wasn't 22 anymore, I was 37, and I have lived enough of it to sort of (question) where am I going with all of this, I’m busy all day, I work a hundred hours a week, I've already achieved a lot but yet all I could think about was achieving more and more, where am I going with this and yet all of a sudden here was this guy saying you’re on the wrong path. So it really made me question how many hours I worked and how my priorities were about my ambition, my accomplishment. I was only really interested on working on myself and he really opened me up to being involved in my community, giving to other people, I remember he lectured me about charity. One of the reasons why I got so involved is he asked me what are you doing for charities and people in your community' and I said I write checks. He said anybody can write a check, you have a voice, and given a platform you have to use that voice for more than just yourself. You use that voice to help people in your community. And I felt very small when he said that and I started my first charity that year 1995 and it's grown since then. The second part of it is after Tuesdays with Morrie came out as a book, all of a sudden people only wanted to talk to me about these kinds of things. They weren't talking to me about sports anymore, they were talking to me about when you lose someone, what's important in life, about forgiveness. So these issues started to become what my world is about and it's the reason why I ended up writing other books on those subjects because that's what everybody was talking to me about. 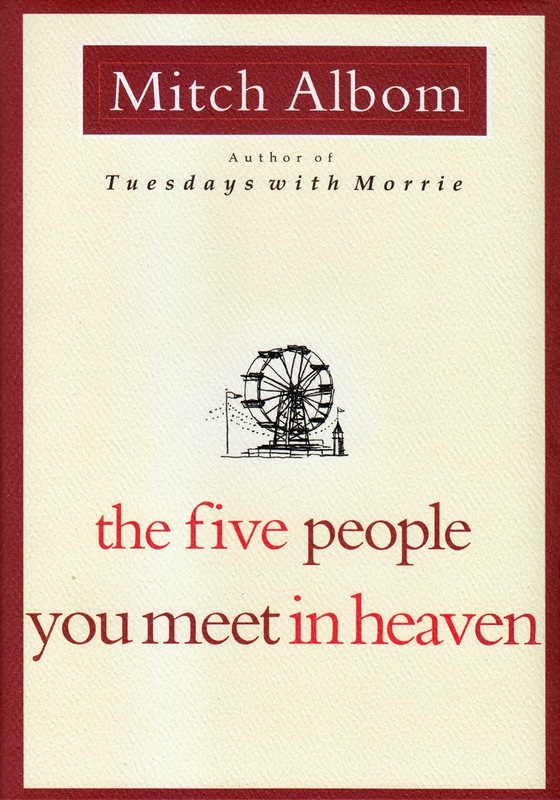 So in two ways, the actual encounter with Morrie and the success of the book in terms of the people it brought me in touch with, instead of going to sports banquets, I was going to universities and talking to students, I was going to funeral homes, I was going to ALS meetings and MS meetings and hospice organizations talking to nurses... So when you're exposed to that all of a sudden it becomes more important to you. And so that really had a profound effect on my life. L: Didn't a fellow writer say to you that you will be someone's Rabbi after Tuesday's with Morrie? M: That was Amy Tan. I sent her the manuscript of Tuesdays with Morrie and I said I’ve never written a book like this, I’ve only written sports books, is this any good? And Amy Tan who wrote The Joy Luck Club and who is an excellent writer, wrote me back a note and said I’ve have only two things to tell you. One, it's a very good book. Two, you're about to become everybody's Rabbi. And what she meant by that and she was right, is that once you've written a book about someone dying with a lot of wisdom in it even though it wasn't my wisdom, I try to tell people it was Morrie's wisdom, everyone wants to come and ask you questions. And a lot of times people will come up and say Morrie, can I ask you...' And I’ll say woah, I’m not Morrie, I was the stupid one remember? He was the smart one, I was the student, I have the same questions as you do. So she was right and I tease her all the time whenever I see her about being everybody's Rabbi. But it's a nice problem to have because it keeps you on your toes. L: Your deal with Morrie at the end of his life is that you talk, and he will listen. Have you talked to him lately? Have you told him about your success? M: Well, actually that conversation which was very precious to me was the last conversation with Morrie before he died, that was the last Tuesday that I visited him. He asked me to come to his grave after he died and he said I don't want you to come like other people come when they leave the car running, they put flowers down and they'd jump back into the car and they drive away. I want you to come bring a blanket, bring some sandwiches, sit down and talk to me like a friend and that's when I said But it won't be like we're talking now because you won't be able to talk back. And he said I’ll make you a deal Mitch, after I’m gone, you talk, I’ll listen. And not only was it a beautiful last thing to share with someone.... I mean what a beautiful.... (Pauses).... I get choked up just thinking about it...what a beautiful thing to say to somebody at the end of your life. But also I feel that it was the essence of everything that he tried to teach me because if you lead your life as he did and you make memories with people as he always did, he always had time for me and he always had time for conversations, he always had time to sit and share a meal with me, he was never too busy. So then after you're gone, you can talk to the people you leave behind because you spend time putting your voice inside them. So they can hear you because of all the memories you made. It’s like when you take a penny and put it in your piggy bank. It's gone right? you can't see it anymore. But you take the piggybank and you shake it there it is right because it's inside you. And so (what) I realized from that is that's how you really leave a legacy. It's not in how much money you leave behind or a list of accomplishments in Wikipedia. It's in all the people you've touched. So when they get together and they can say...'remember when Mitch was her and he said this or that.. I remember when Morrie was here' that's how you live on. No one's gonna sit around going “remember when Morrie earned all that money or remember when Mitch was so busy all that time?” they'll just forget you, you know your accomplishments blow away. So that was a beautiful little sentiment and I have gone to his grave many times. And every time I.... I was just there probably November.... And I go and I sit there and it's a very small little grave and it's on a hill overlooking a little pond and I just sit and I say 'hey Morrie how you doin' and I wait, I hear him in my head...so how do you think things are going down here? Am I representing you well? Did you see that they're reading your book in the Philippines? Next time I go up I’ll tell him how many kids wanted to show me their Tuesdays with Morrie that are old like that (pointing to my paperback copy on the side table which is more than a decade old) and gray and they're like rusty and they're used so much. I'll tell him that and I can imagine what he would say to me because he spent so much time with me that I could still hear his voice. That's what he meant by I'll talk, you listen. L: There are two things that I learned from Tuesdays with Morrie. One is that you have to learn how to listen. And the other is to look people in the eye when you talk to them. That’s what I took away from that. M: That’s called being present, and that’s how Morrie was. He was always present you know, he made you feel like you are the first student he ever taught though he taught ten thousand students. So how do you do that? You’re with the person you’re with when you’re with them. You’re right. That’s a big lesson in that book. L: You also recorded a lot of your time with him. Do you still have them? L: Do you get to listen to them? M: Yup (laughs)…it’s so old. Tuesdays with Morrie is so old, technologically you can measure it. It began on cassette tapes, then went to those little mini tapes, then to CD, then DVD, and now digital. And I keep saying every time there’s a new generation on how to do it we transfer all those conversations over, so they’ll be preserved forever. M: No it hasn’t changed…yet. It’s the same voice all the time. 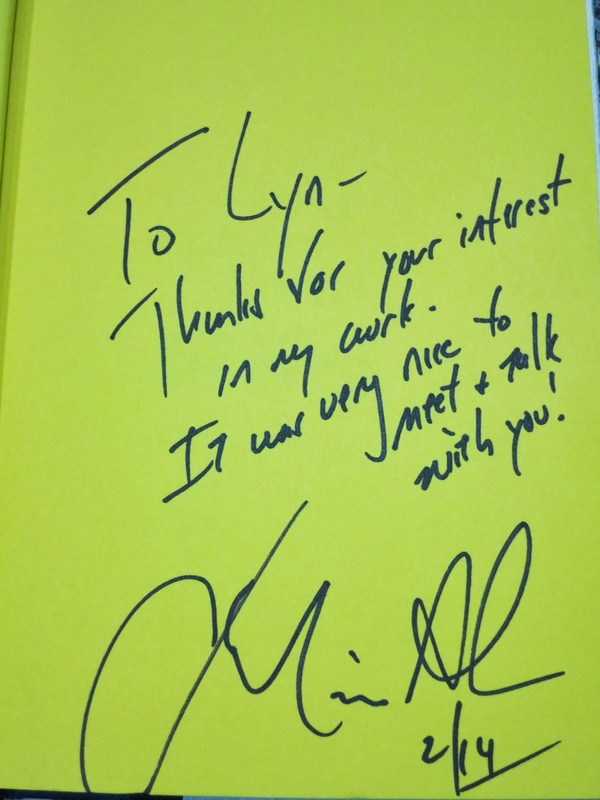 M: Koppel yeah… he was a remarkable speaker. 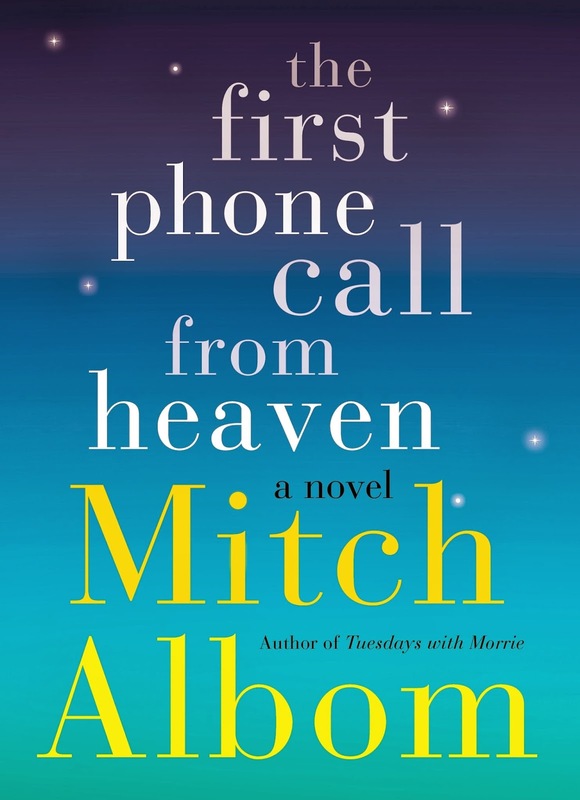 He had this high pitched way of talking (imitates Morrie) ‘well Mitch we’ll do this’.. and he had a great laugh….you know at the end of the audio book, remember when Tuesdays with Morrie came out no one expected it to be a successful book. It was a tiny little effort and no one wanted to record the audio book. We couldn’t get an actor or anybody to do it. I said I’m not gonna waste my time so I had to do it. And I did it in my basement with a little microphone. I’d do three pages at a time and turn it off…. And at the very end of the audiobook, I included ten snippets of conversations that he and I have had, some of my favorite ones, the real conversations. And I just put them on at the end of the audiotapes no explanation, and then when the book ends you hear Morrie talking but it doesn’t say anything on the box. And it was funny when people discovered that and I would get these letters ‘is that really him? is that what he sounds like?’. I say yes, that’s really him. So it’s funny how you go from that which is almost twenty years ago, to a book that I wrote now about voices from heaven. Phonecalls. And you know I think back and I said I hear Morrie’s voice and that’s part of the reason I know how a voice can mean so much to people. L: What I like about Phone Calls from Heaven is that you have bits of history. But before we get there, I wanted to ask what is the ultimate lesson that Morrie taught you because his mantra was Love each other or Die. Is that the biggest lesson for you as well? M: What he meant by that is also at the core of another line that gets quoted a lot from the book. Morrie was quoting someone else when he said that ‘Death ends a Life, but not a Relationship’. A relationship can go on But, it can only go on if you invest in it while you’re here. You can’t have a relationship with somebody after you’re gone if you didn’t have a relationship while they’re here. So you have to spend your time with people and give yourself to people if you want death to end a life but not the relationship. What love each other or die really means is, if you don’t love one another, we’re gonna die emotionally. You won’t be remembered, there’ll be nothing to recall because you didn’t share love with anybody while you were here. Perish means your memory is gone. Here you are talking about Morrie. He died in 1997, so that’s 17 years ago. You didn’t know him, most of the people who are gonna be watching this never met him, but you're still talking about him. He wasn’t rich, he wasn’t famous, he didn’t try to get on the Forbes500 list. He just touched one person. And I wrote a book to try to help him pay his medical bills, somebody handed it to somebody, it wasn’t supposed to be a big book, but they handed it to somebody and now look, we’re in the Philippines and we’re talking to all kinds of people about a guy who’s not even here to teach his own lesson. Everybody has that capability inside them to touch one person and to touch the whole world. You just don’t know, and that’s how you don’t perish. That’s how he lived on, because of the love he showed for me and for others, he is still living on. And that for me is the big overriding lesson. M: Everybody’s coach yeah… it’s like he’s an official teacher of the Philippines. He should get a pension from the Philippine school system (laughs)…. L: Moving onto The First Phone Call From Heaven. For those who have not read it yet, Please tell them about the book. M: This is about a small little town in America that wakes up one day and the phone starts ringing and it’s people calling from Heaven. But it only happens to a handful of people in that town and only in that town and no place else on the planet. And the book follows when the story leaks out, and people start to hear about this town and start to come into it and start descending and flocking and it gets bigger and bigger to be part of this so called miracle. Meanwhile there’s one guy who actually lives in town who gets let out of prison for something he didn’t do, his wife died while he was in prison so he’s just a tragic figure, he believes in nothing. He doesn’t wanna hear good news, he’s just a negative person and one day his 7 year old son comes home from school with a toy phone and says to him ‘daddy when is mommy gonna call from heaven?’ because the whole town is in Heaven fever. So he decides he’s gonna prove that this has to be a hoax and he sets out and starts digging into it. Meanwhile it gets bigger and the story swells and the world finds out about and it all comes down to a suspenseful clash just a few days before Christmas when there’s a plan for broadcast around the world live. With all the new technology, the first actual phone call from heaven that everyone’s gonna listen in on and this is gonna settle the question once and for all. Is there life after death? Just as it seems that this guy has figured out what’s really going on……. Now if I tell you any more I’ll destroy the book for everybody so I’ll stop there. L: I read the book…. it seems nowadays that everyone wants a miracle in their life. This book had it. Do you yourself believe in miracles? M: Everyday. Every single day. I think there are small miracles that happen to us that sometimes we don’t even realize what miracles they were until years later. I’m a beneficiary of those and I think so are many other people. And one of the lessons of that book is, If it’s a miracle to you, do you really have to prove it to everbody else? Or is it enough for you to believe it? I have talked to many people who have lost loved ones. I can’t tell you how many times people will tell me something like… “my daughter died a year ago, I’m so heartbroken and I’m sitting in her bedroom in her one year anniversary and I was just crying and all of a sudden a picture of her and me landed at my feet, and I know that was her, she was sending me a sign, everything is okay that’s why the picture fell right when I was there and I feel at peace now because she wanted me to be okay”. Now I can bring in a physicist, a scientist and they can explain why the picture fell off exactly when it did. I can bring in ten of them. For that woman it won’t matter because that was a miracle to her. Now, is she right or is she wrong? I don’t know maybe she’s right and the scientists are wrong. The point is it’s enough that she believes that that’s what it was, it’s enough that it means something to her. Science doesn’t have to be the answer to everything. And in the book there are people who say ‘no, this is definitely her or him’ and we can say it can’t possibly be her. It's up to you to decide. It doesn’t matter. You don’t have to prove it to one another. L: Miracle is like Religion. It's a very personal matter. But what’s the biggest miracle that happened in your life? M: Well, if I don’t say my wife she’ll kill me (laughs) but the miracle is she married me! You know there’s been quite a few to be honest with you. Some are just a miracle of timing. Think about this. I only discovered that Morrie was sick because I was sitting in front of the TV flipping a remote control. If I wasn’t there that night then I wouldn’t know about it, then you and I wouldn’t be here talking I guarantee you. I also have had physical things happen, when I was 20 years old, I was in a car driving and I pulled out into the street and there was a big rainstorm, and I was pulling to make a left hand turn and I had to stop because there was this big moving truck coming in the opposite direction and couldn’t brake because of the rain and he slammed into me right on the driver’s side. I wasn’t wearing my seatbelt because I was a 20 year old and I got thrown across the car and landed just underneath the passenger side in that little hole that was just there and the car went (made a sound) crrzh around me and got hit by three other cars. When people walked up they were sure no one could have survived this thing and if I was wearing my seatbelt I would have been dead. Plus I was thrown and I landed in that one little spot that was safe underneath the dashboard. The police came and they pulled me out of the window and I walked home with (just a) scratch on my face. Everyone was looking at the car saying nobody, not even a small animal, could have survived inside. I’m alive and I’m here with you. Why? people have died in much lesser accidents than that. To me, it wasn’t my time to go. Apparently somebody up there thought I still had things to do. My view is somebody was watching out for me. L: Your books touch on Faith and Love consistently. Is it something you want your readers to take away from all of your books? M: Sure! Absolutely. They’re very important ingredients in life. I try to not tell people what faith, how faith, which way faith… but I do think it's a very lonely existence if you think we’re just here for a short period of time and then we go underground and we’re worm food. And we have no connection to one another, we’re just mammals. And love? I don’t really know what life is without that. It's the first thing we seek when we’re infants and it's the last thing we want when we’re on our way out and everything in between is just distraction. Morrie taught me that too. He said when you’re a baby, all you want is to be held, and comforted and caressed. He said “I’ll let you know a little secret, when you’re dying, that’s the same thing you want. To be held, comforted and caressed”. That makes sense to me, that’s symmetry. In between the coming and the going we act like we don’t need it. And he’s right. So I try to infuse my books with that. L: Now let’s finish your book titles with sentences starting with….. For One More Day, I would like to…. M: Have my mother’s voice back. She had a major stroke four years ago and hasn’t spoken a word since and I miss talking to her terribly. It’s one of the reasons I wrote this book. it’s because of the power of the voice. And if I had one more day I would just let her talk all day long so I could memorize the sound of it because I didn’t know I was gonna lose it. M: I was like that with my mom too and believe me, be careful what you wish for, because when I was younger I say ‘why cant she stop talking? She keeps calling me…’ and now what I wouldn’t give to just have one conversation with her…even just a Hello Mitch. I try, I sit across from her and I say ‘mom, say hello’…I try to show her how to form words like a baby.....and she just looks at me. I don’t know if she gets it because she just looks at me and it's heartbreaking. And so yeah, for one more day I’d be talking with my mom. 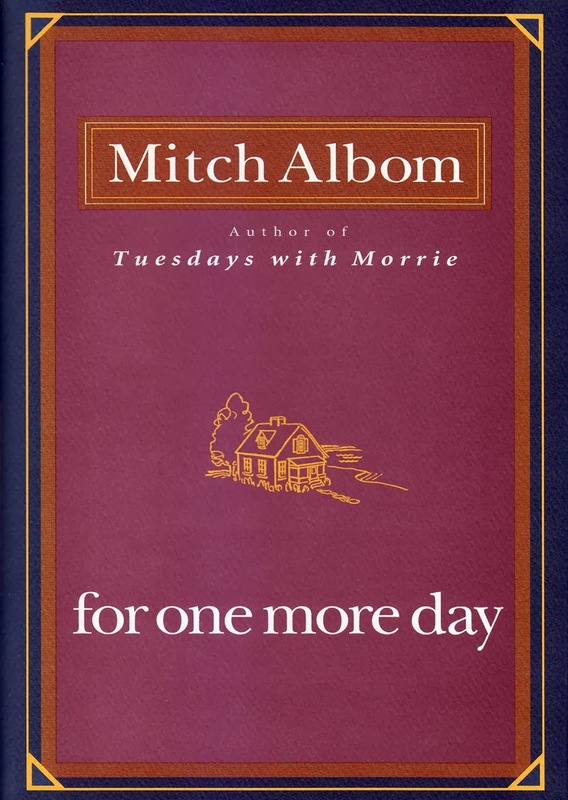 L: If I could have another Tuesday with Morrie, I would tell him…. M: That kids in the Philippines are now getting graded on his lessons. 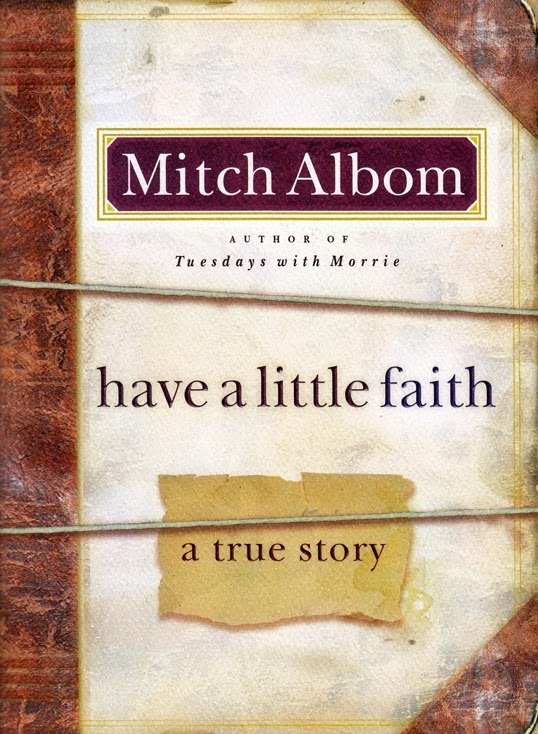 Someone got a D because of Morrie…and someone got an A.
L: My best advice to all of you would be to Have a Little Faith in…..
M: About 30 people who aren’t in my life anymore. One of them would be from Morrie just so that I could ask him…how does it look from up there and can you see everything that has happened since you left,? and if so, am I doing an okay job? If not, how about a little advice? That would be a nice phone call to get. L: If I were in Heaven my first phone call would be to…. L: Because that would be a miracle? M: That’s just the way she works…one phone call from her and the whole world knows about it…she would be my phone call. M: They would be people who I had hopefully helped in some way that I was unaware of because that would have meant that I was a person who did good things without always seeking out the knowledge of what I was doing to be proud of myself. That I did some good things without even thinking about, you know, that I’d get points for this. So if there are five people that I helped who I wasn’t aware of, I would think that there would be five moments in my life that I could be proud of. 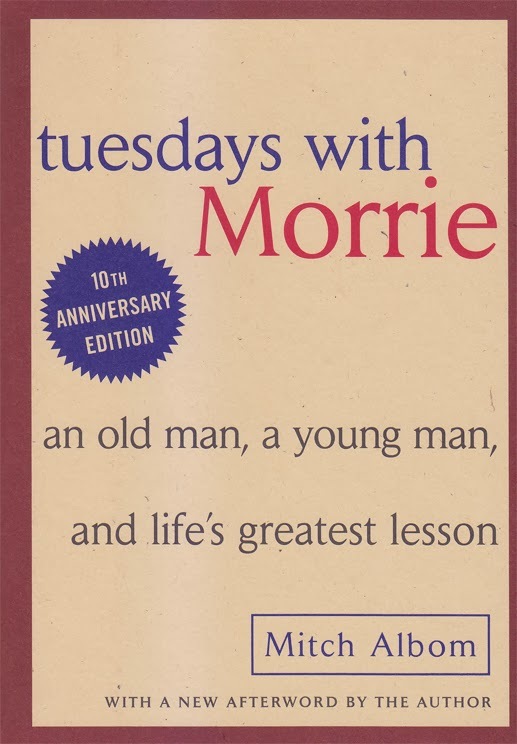 L: When you asked Morrie what he would do given one healthy day, he gave you an ordinary day. For you what would be a perfect day? M: You know I have had a lot of perfect days already. If I wake up with my wife and we’re in the same place, if I have a good little morning with my writing, have a great meal with some of my family members, get to feel like I created something. Get to hear music or play music, get to have dinner with more of my family members and friends, get to laugh really hard because I remembered something that one of my high school pals did that would make me laugh so hard my stomach would hurt, and then get to go to sleep back with my wife again…that’s a great day, a perfect day…and I have had many of them. I’m so blessed I get those fairly regularly and I appreciate them every time I do. L: Music is still a huge part of your life. You have a band called Rock Bottom Remainders with other famous authors. What do you guys play? I know when you were younger, you went to Greece and was playing a lot of Elvis and Ray Charles. It wasn’t an impersonation was it? L: No outfit? No sparkly costumes? L: But you have roadies! M: We have roadies and we have played with some very famous people like, Bruce Springsteen has played with us and all kinds of people I can’t even remember but we’re just a bad band. We play songs from the 50s and 60s, we have a lot of fun. We don’t take a dime, everything we make we give to charity. That band has been around 20 years or so and what’s been nice about it is it’s like going to band camp. You go with all these famous writers and we never talk about writing. We just talk about ‘what chord is that again?’ and we do a lot of funny songs and I do a couple of Elvis Presley songs and uh..
L: What’s your favorite then? Elvis songs…. L: Is there a singer or band that your band would like to play with in the future? M: Sure! all of them! Anytime Paul McCartney wants to play with us that’s fine…anytime Mick Jagger wants to play with us that’s fine…but Bruce Springsteen, when he played with us he gave us the best advice I thought, because after he finished playing with us he said ‘you guys aren’t that bad but I wouldn’t get any better, because if you get any better, you’ll just be another lousy band’ and I thought that was the best advice because we’re not even lousy yet. We have to work our way up to lousy. So as long as you’re so bad you’re funny, you’re fine. But if you get a little better, it looks like you’re trying too hard…that’s why we’re in a comfortable spot right there below lousy. M: Nah, he didn’t do that…. He probably could have but he didn’t do that. M: That’s a hard question to answer. I would hope he would be proud of the effect that he was having. I haven’t done anything in comparison to what he has done. I’m just like his graduate student you know, I’m just sort of carrying his water around and spreading the words that he taught me and sharing them with other people. And if they share it with other people then it’s him, not me. So I would just hope that he would say ‘you know you came to me one way, and you left me a different way’. That in it's core is what teaching is about isn’t it? Student comes in one way, leaves differently….if I did that then I would hope that he would be proud in the same way that he’s proud of every student, that he has had some effect, and that’ll be enough for me. L: You’re an eternal student..
L: Thank you very much Mitch..
M: Thank you, my pleasure…I enjoyed it….